Wirelessly scan documents to your computer or mobile device when powered with the USB cable or rechargeable Li-ion battery (both included). Scan in both color and black/white. Bundled with a valuable suite of scanning software. 4GB SD memory card included. Powered by rechargeable Li-ion battery or USB. 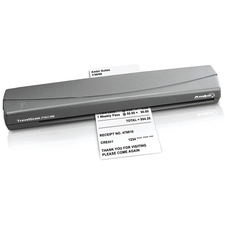 Wirelessly transfer scanned documents, receipts and plastic I.D. cards to your computer or mobile device when powered with the USB cable or rechargeable Li-ion battery (both included). 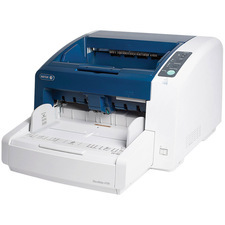 It features fast color scanning, plus crisp resolutions. Scan to a variety of formats and destinations (up to 8 ppm), including PC, e-mail, FTP, shared folder and print. It’s bundled with a valuable suite of scanning software, including desktop document and business card management programs. Scanner also includes BR-Receipts application, which helps simplify bookkeeping with automatic recognition, sorting, and organization of scanned receipts, plus exporting to Quicken® and QuickBooks®. 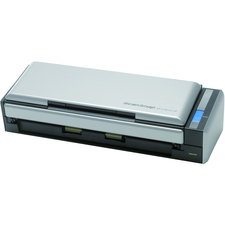 Scan Size (W x H): 8 1/2" x 32"; Buttons: 1; Connector/Port/Interface: USB; Wi-Fi; Dpi Graphics Resolution: 600 x 600 dpi.